According to Wikipedia, Little League baseball and softball dates all the way back to 1939 in Pennsylvania. Specific divisions are available for children ages 4-18. There's even a Little League World Series held every August! If you're interested in learning more, you can visit the Little League Museum in Pennsylvania. Tee-Ball: This is for boys and girls, ages 4-5. Players hit a ball off of a "tee" at home plate. Minor Leagues: The Minor Leagues are for children 7-11. It is often coaches pitching at the younger levels and players pitching at the higher levels. 9-10 Year Olds: This gives kids the opportunity to experience tournament competition up to the state level. Pitching distance is 46 feet. Little League (or Major Division): Little League is for boys and girls ages 9-12. This series culminates with the Little League World Series. Pitching distance is 46 feet. Little League Intermediate: This division is new, as of 2013. It's open to players 11-13, who are permitted to lead off and steal. Pitching distance is 50 feet. Junior League: The Junior League is for 13-14 year olds. Pitching distance is 60 feet, 6 inches. Senior League: 14-16 year olds play in the Senior League. Pitching distance is 60 feet, 6 inches. Big League: The Big League is for 16-18 year olds. Pitching distance is 60 feet, 6 inches. Ben Davis Little League - The Ben Davis Little League program is a chartered member of Little League International in the 8th District. It currently boasts 19 teams and is bound by these borders. Fall Creek Little League - Fall Creek boundaries include this area of town and are part of District 7. Washington Township Little League (formerly the Westlane Delaware Trail Little League)- This program has served the township for over 60 years. Their boundaries are defined by this map, where you can also find out additional information. Eagle Creek Little League - Eagle Creek has a similarly rich legacy which dates back 50 years. They are part of Dictrict 8 and have these boundaries. 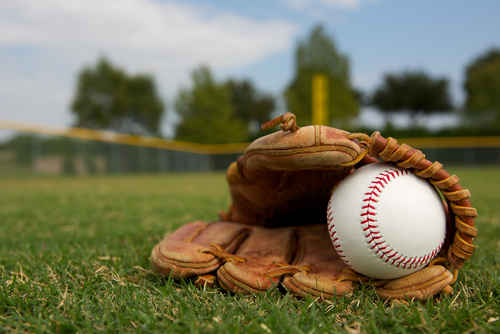 Regardless of whether your kids play in Little League games, it's always a fun family activity to go out to the ball fields and watch teams play. Looking for more recommendations of children's activities? Give us a shout. We're no experts, but we certainly love Indianapolis and all that it has to offer!